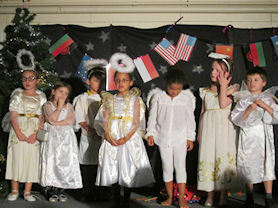 On 9th and 10th December, Key Stage 1 performed their Christmas production, 'Christmas Around The World'. 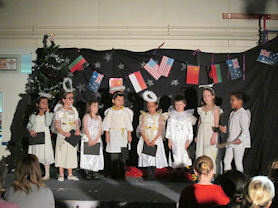 The children told us all about how Christmas is celebrated around the world, from Poland to China and Australia to Malawi. 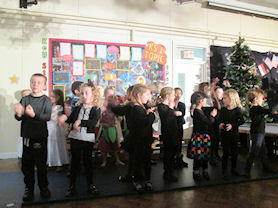 The children sang their hearts out and remembered all of their lines. All of the staff were extremely proud of their hard work, effort and the confidence they showed. We would like to thank all of the parents and family members who came to watch the performance and hope that you enjoyed it. Merry Christmas from all of Key Stage 1!